Hello there, today I have the pleasure of Guest Designing for Your Next Stamp. 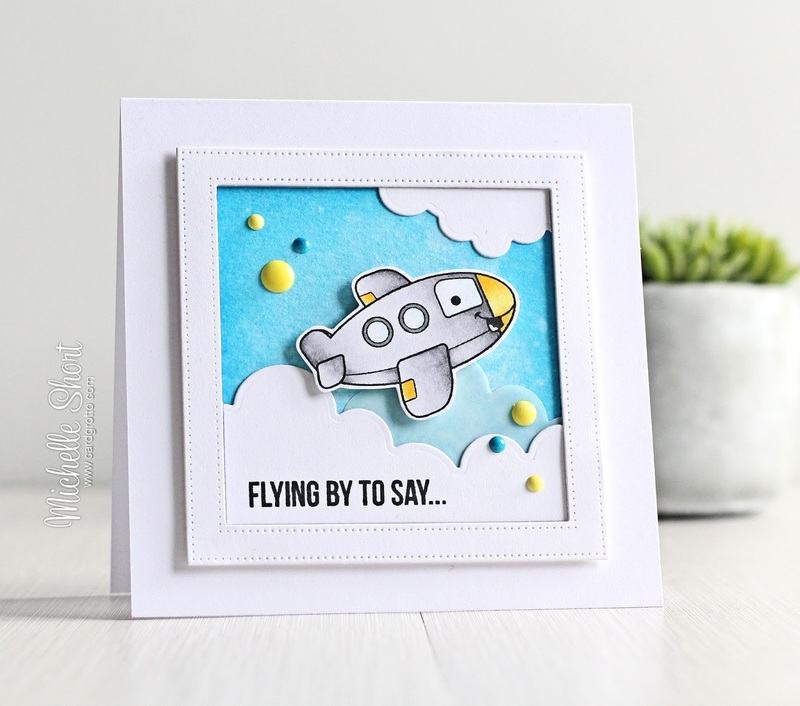 I am using the Just Plane Amazing stamp set, along with the Puffy Cloud Border Dies to create a cute little scene. I took a piece of watercolour cardstock and cut this with a MFT Pierced Square Frame Die. I took the inside portion and blended over Distress Inks in Tumbled Glass, Broken China and Salty Ocean. I then spritzed this using the Distress Sprayer to create some texture. I cut the frame die again twice, once from white cardstock and once from vellum. I used the inside pieces again to cut some clouds using the YNS Puffy Cloud Border Dies. I took the YNS Just Plane Amazing stamp set and stamped the plane on to some white cardstock, using Memento Tuxedo Black ink. The image was coloured with Copic Markers and fussy cut out. I layered up the pieces on to a 5"x5" card base, adding the frame and plane with foam tape. 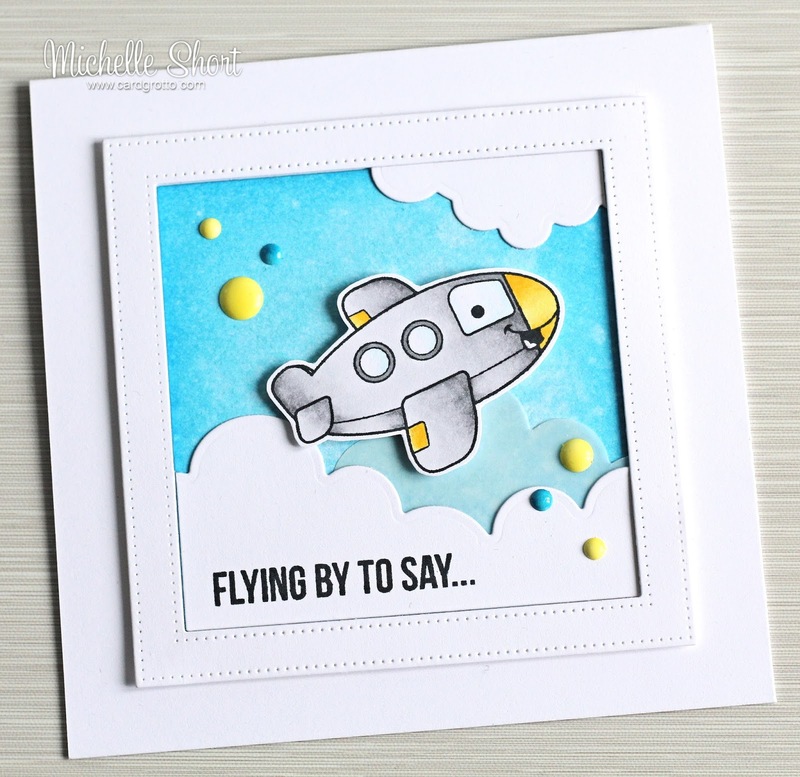 I stamped the 'flying by to say ...' sentiment on to the larger cloud, again with black ink. To finish off, I added some YNS Gumdrops. I have these enamel dots in white but as I wanted some yellow and blue ones, I coloured them using my Copic Airbrush. I used Y13 for the yellow and B14 for the blue. 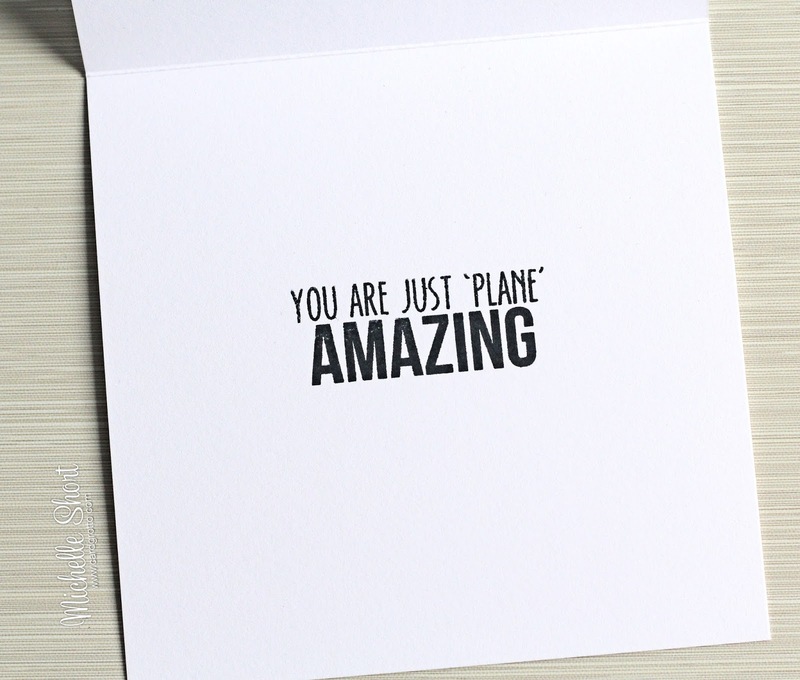 To finish off, I added the second part of the sentiment - ' you are just plane amazing', to the inside of the card. COPIC MARKERS: N5, N3, N1, N0, Y19, Y18, Y15, Y13, B0000, 0. For more inspiration on how to use this set, please pop over to the Your Next Stamp Blog. Thank you so much for visiting me today. I hope you have a great day!